Vijay Deverakonda recently started a blog where his followers could get registered and be updated his upbringing projects, not just in films, but everywhere else. Heartthrob Vijay Deverakonda enjoys a huge following, not just in South India, but across the nation courtesy his path-breaking film Arjun Reddy. Post the humongous success of the film, Vijay Deverakonda’s stardom has only amplified and the actor sure knows how to keep his fans and followers engaged. Vijay Deverakonda recently started a blog where his followers could get registered and be updated his upbringing projects, not just in films, but everywhere else. 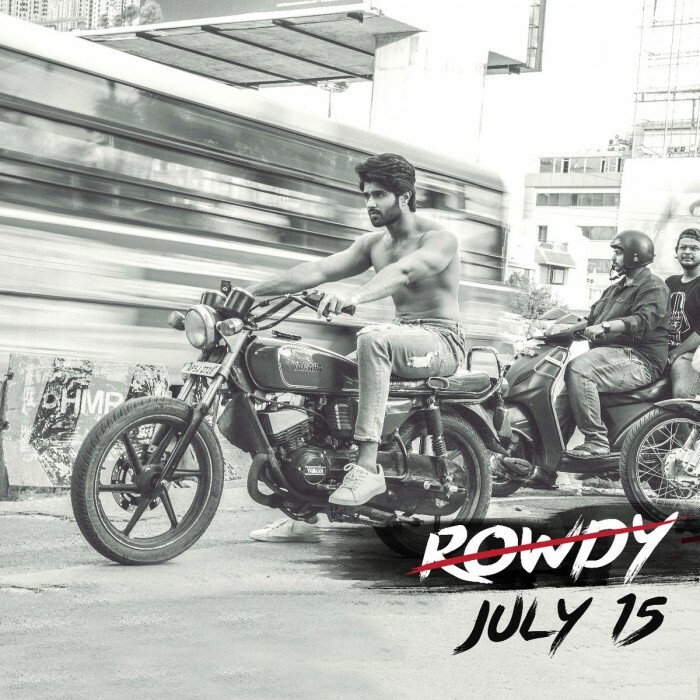 And to start off with, Vijay Deverakonda will soon start a clothing label which he announced in his own rowdy style. Vijay took to Twitter and posted a shirtless picture of himself and wrote – “Going to College! I still didn’t find a Shirt I like. I am You. I am the Rowdy you.” With this, the actor sent out a message that it would start off on July 15th, 2018 and registrations for the opening ceremony are open on his website. Fans of the actor are going gaga over his shirtless picture and the news about his label has now gone viral on social media. I still didn't find a Shirt I like. Vijay Deverakonda will son make his debut in Tamil with a film titled NOTA which is being directed by Anand Shankar. Said to have a political theme stitched to it, NOTA also stars Mehreen PIrzada as the leading lady and will be a Tamil-Telugu bilingual. Besides NOTA, Vijay also has three more pictures lined up immediately – Geetha Govindam, Taxiwala and Dear Comrade. Geetha Govindam is being directed by Parasuram and stars Rashmika Mandanna as the female lead actor. Taxiwala is being directed by Rahul Sankrityan and stars Priyanka Jawalkar as the leading lady. Dear Comrade was recently announced and launched, and will be directed by Bharat Kamma featuring Rashmika Mandanna again as the leading lady. And with his non-filmy activity gearing up soon, Vijay Deverakonda will soon be rage in South Indian cinema.